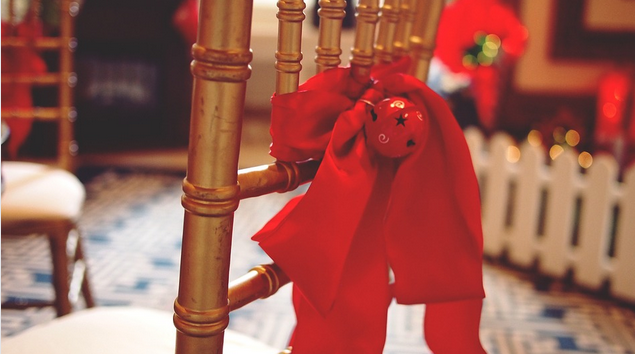 Here are helpful tips for organizing a fun company holiday party without spending much. Holiday parties, when done right, carry many benefits. They have the potential to bring employees closer together, encourage teamwork, enrich the company culture, and show that everyone’s efforts throughout the year are appreciated. Small-business owners shouldn’t just buy some fruitcake, put out a few bottles of wine, and turn on a festive CD. They have to demonstrate to employees that they care, but they don’t have the break the bank, either. The following are some helpful tips for organizing a company holiday party that’s enjoyable, unique, and rewarding. Workers should be involved in the planning process of the party. It’ll empower them and make them feel like their opinions are valued. Plus, business owners can find out if there are any food allergies, dietary restrictions or drink preferences for the event. Perhaps employees will want to showcase their cooking skills and do a potluck, or order from the new pizza place down the block. Parties are tough for introverts and shy employees. A fun game will break the ice, get everyone involved, and promote teamwork. The activity could be as simple as a game of Pictionary or Clue. Business owners could bring in ping-pong tables or video games and let employees chose their own teams. This teamwork translates over to the office environment and brings a little bit of healthy competition into the mix. A holiday office party isn’t complete without entertainment. While having a DJ is nice, people might be reluctant to dance amongst their coworkers. Instead, look into hiring a corporate comedian or an improv troupe whose members interact with the audience. It’s even better if the troupe is experienced with corporate training and team-building activities. When approaching a booking agency, it’s important for business owners to review comedians’ and improv performers’ videos to ensure that they are clean and non-controversial. Otherwise, it could end up causing more trouble than it’s worth. If comedy doesn’t sound enticing, some other great acts to consider might be a magician, a group of breakdancers, or a sketch artist. A photo booth costs only a few hundred dollars and allows employees to cherish the memories they made at the party. Some photo booth-rental businesses let companies use their logos on the strips as well. Rent or buy wacky hats, masks and glasses or pick up some disguises and costumes at the dollar store to make it even more fun. A motivational, insightful speaker has the power to boost company morale and get employees excited about the company in the new year. Try reaching out to a local author, a CEO of a large company, or someone who specializes in corporate training.